(VACNE, 24/12) - This is the information of the President of the Korean Human & Environment Forum (HEF), which has just been sent to the President of the Vietnam Association for the Conservation of Nature & Environment (VACNE). 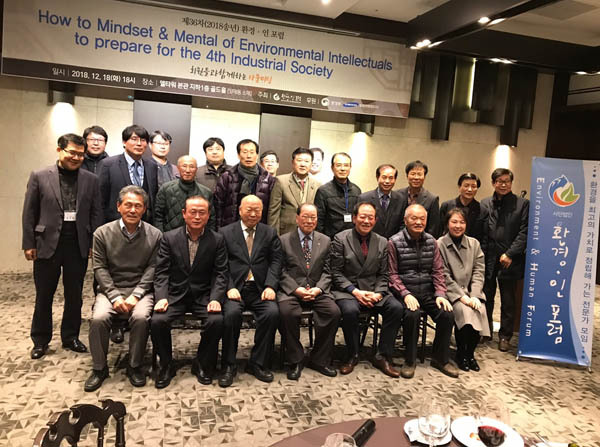 Specifically, after a business trip in Vietnam, working with the General Department of Environment (MONRE) and the VACNE, returned President HEF Jae Kon Shim held a joint special Forum meeting. At this meeting, he explained to the members of HEF detail about the results of the mission in Vietnam. HEF members discussed and developed a plan to maintain the Environment-friendly Technology & Product Selection Program "ENVIPRO & TECH" that the two sides had implemented in previous years and recent agreements; at the same time, they expressed gratitude to the VACNE President and Genenal secretary and members of VACNE for the delegation during his business trip in Hanoi in the early days of October 2018. HEF President also expressed his hope to work more closely with VACNE, MONRE and VEA in the future and announced that HEF has decided to make more efforts to promote mutual exchange with technologies and Great environmental products in Korea and Vietnam.